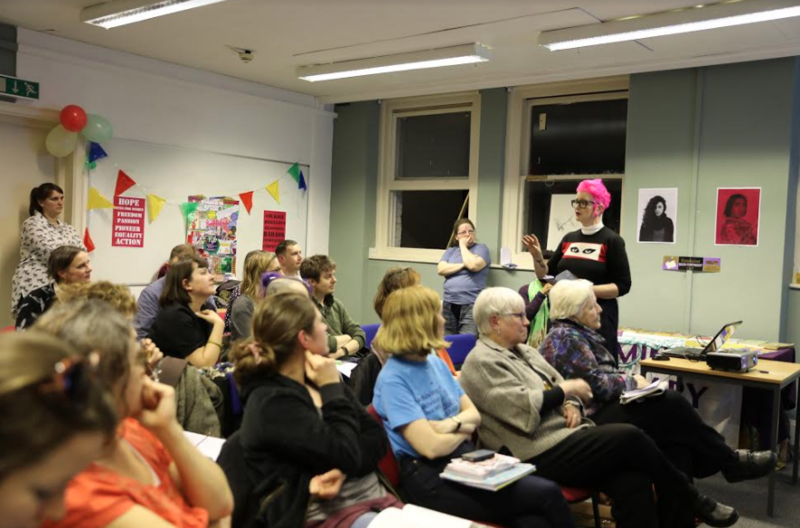 On Wednesday, 14th March 2018, the Feminist Library at Lambeth North celebrated its 43rd birthday with a fascinating panel on ‘Feminist publishing since the 60s’. 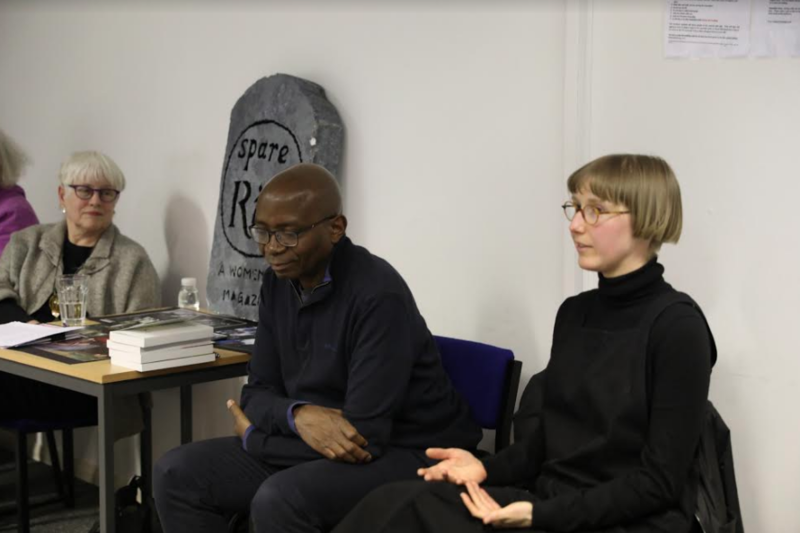 Panellists were Sue O’Sullivan of Spare Rib magazine and Sheba Feminist Publishers; Rachael House, artist who has been making feminist zines since the 90s; Bibi Bakare-Yusuf of Cassava Republic Publishers; Sylvester Onwordi of Omenala Press; and Esther McManus of the Feminist Print Network. As well as marking 100 years since (some) women got the vote, 2018 is also the 50th anniversary of the Women’s Liberation Movement starting in Britain. At the Feminist Library, we intend to celebrate the modern movement throughout this anniversary year, starting with this event. 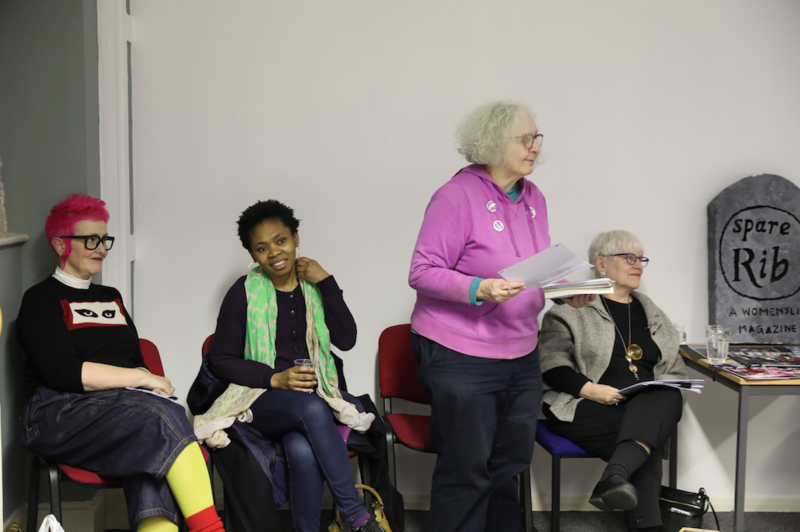 Photo 3: L to R, Rachael House, Bibi Bakare-Yusuf, Gail Chester (Feminist Library, chair), Sue O’Sullivan, the tombstone. ‹ Calling all Zine Makers! !